Are you mulling over to buy a hatch back for you short family than go for Hyundai i10 because there no competitor of it. I would like to suggest u that u will find all features which want to a achieve in a hatchback. After seen its eye-catchy style and look and impressive features I has also bought the pretty (Asta). As my friends advice I went for Hyundai i10 and found unexpected features in this hatch along with very impressive. I want to say that it is thrill in the segment. And if you want achieve all good features in a compact hatch along with impressive look than go for it. In terms of interior you find in all thing power like power windows, steering and remote fuel lead opener etc. The digital odometer and adjustable steering column etc. As me you also will find good comfort in the car along with large space for a short family. 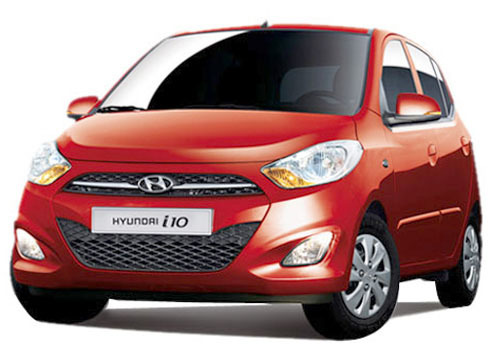 The car has 1197 cc engine which is well performer and fuel economical in the segment. The promise to deliver average mileage of 15 kmpl in city areas and 19 kmpl on long roads. So don’t be confuse about the it. Yes, here I want to tell you that on high speed I can control my car easily with listening music which is especially providing for the music lovers. Guys, presently I am and my family is happy with the Hyundai i10, and my advice is that if you are making a plan for a premium hatch than first take a i10 test drive.